We want to wish a very Happy Hanukkah to all our friends and readers. 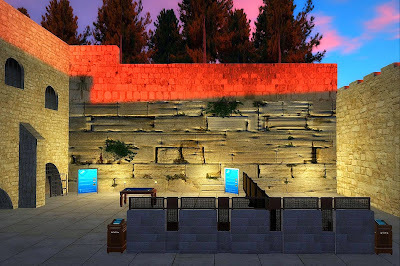 The joyous Jewish Festival of Lights begins tonight and lasts for 8 days. 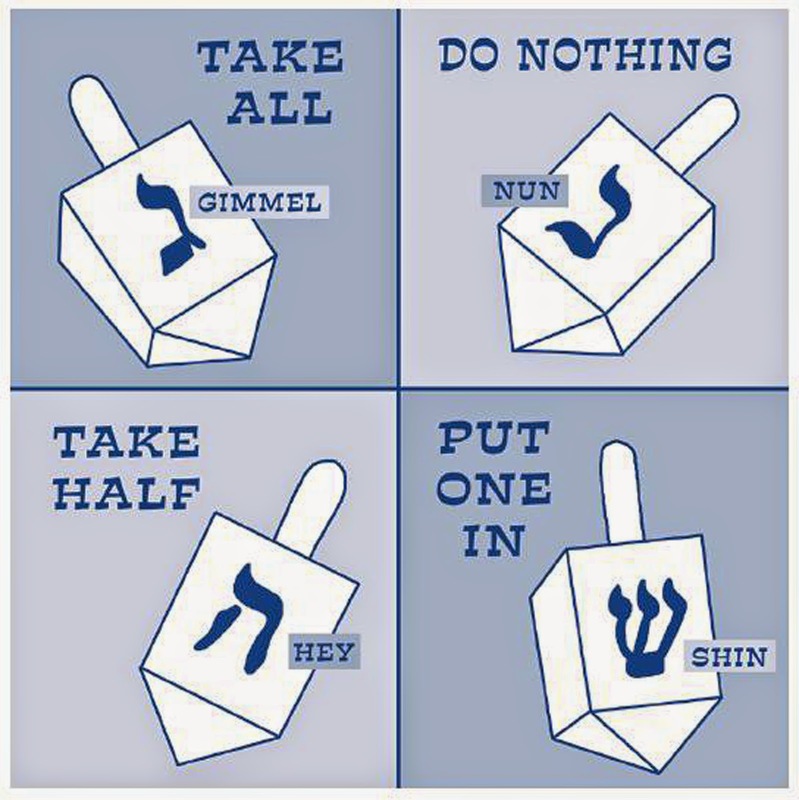 We would like to wish all our Jewish reader a very happy holiday! If you are curious about the holiday, read on. Hanukkah celebrates the rededication of the Jewish Temple in Jerusalem and a great victory in 167 BCE. Monotheism and the Jewish religion were outlawed by King Antiochus III the Great of Syria who had conquered the region. This was done as an attempt to force the indigenous population to accept the Greek worship of many gods that was the predominant religion in the Mediterranean area at the time. The fact that the Jews refused to worship the gods of the conquering power along with their own was seen as a great insult to the new rulers. The refusal of the Jews to adopt the official religion of the predominant cultures in which they lived, usually under coercion of one form or another, would be the primary factor in their tragic history for the next two millennia. Historians estimate that half of Jews who ever lived in the past 2,000 years were murdered at some point during their lifetimes. In an attempt to permanently eliminate the Jewish religion, Jewish practices, most notably circumcision, an ancient rite central to the Jewish faith, and something that the Greek culture found offensive, were banned under penalty of death. The final insults that triggered the Maccabean Revolt was the desecration of the Jewish Temple in Jerusalem by the building of a statue to the Greek god Zeus inside, and introduction of swine livestock into the Temple grounds as an act of ultimate humiliation. In response, a war of liberation ensued led by Judah Maccabee, who was head of the Maccabees, a Jewish priestly family. The Jews won a great victory, and drove the invaders out of Jerusalem, and rededicated their Temple. It is argued that without the victory of Hanukkah, Christianity would not be born some 200 years later, since the Jewish religion and worship of one God at the central Temple in Jerusalem would cease to exist. 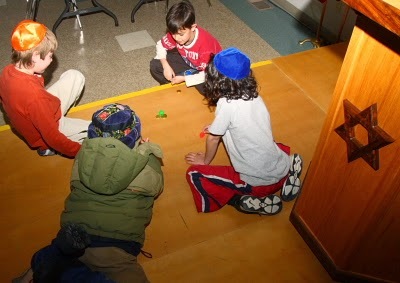 One interesting custom for the Hanukkah Holiday that is at least 2,000 years old is the playing of the Dreidel game by children (and adults) which is a gambling game played with a spinning top - the dreidel. Serious gambling is not allowed of course, and the game is supposed to be played with a few coins as seen below. The first player who ends up with all the coins wins. Although the exact reason for the playing of the game has been lost with history, legend has it that religious lessons were recited in whispers by children whenever the invading troops approached. 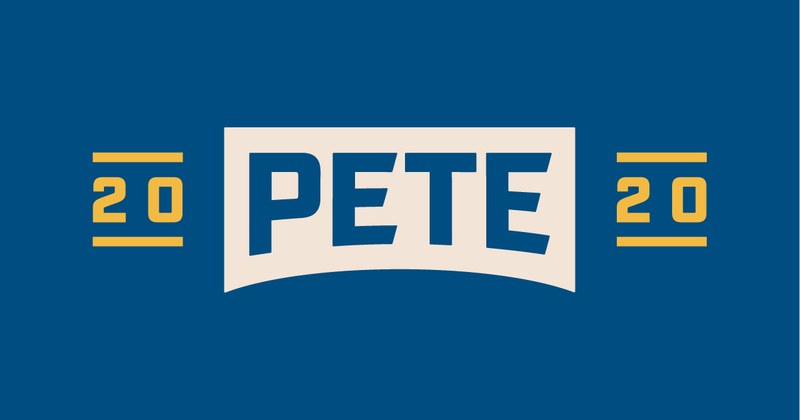 The letters themselves are used as anagrams. Although the teaching of the Jewish religion was banned, enemy soldiers saw nothing wrong with playing a gambling game. 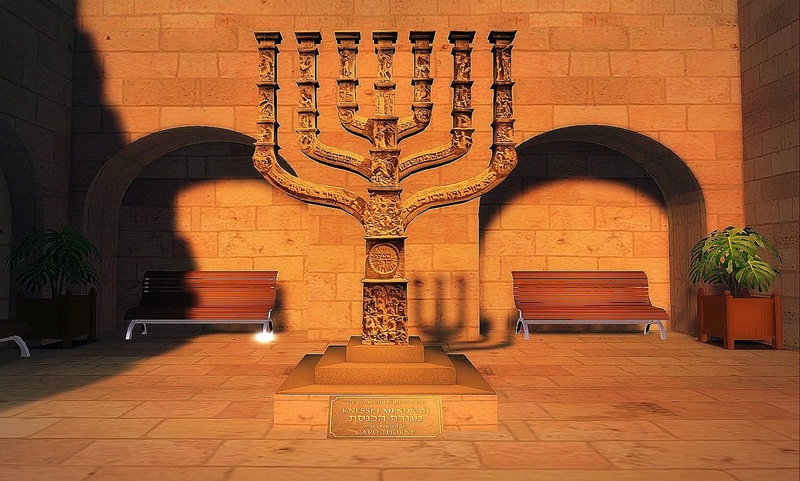 If you would like to try the dreidel game, there is a free once available in the Second Life Marketplace which you can find here. Two, three, or four people are required to play. There is a legend of Hanukkah concerning the burning of olive oil. When the Maccabees retook the holy Temple, they cleaned it and rededicated it by lighting the Menorah, the candelabrum which burned at all times and symbolized the divine presence. The Menorah required special prepared oil that took 8 days to press and produce. Oil was found, but only enough to burn for one day. Miraculously, it burned for 8 days until new oil became available. 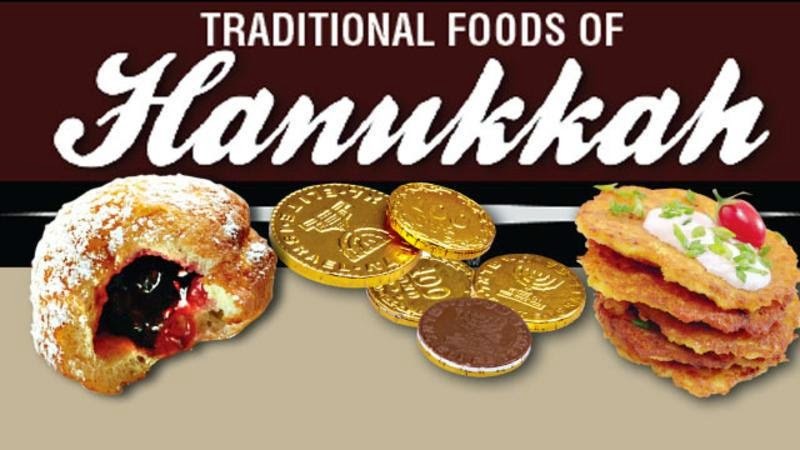 This is why Hanukkah is 8 days long and celebrated with the lighting of candles every night, In addition, tasty fried foods cooked in oil, such as potato pancakes and jelly doughnuts are served throughout the holiday, doing terrible things for one's complexion and waistline.